Available also on iTunes, Google Play and Android podcast apps. Great songs, like any great art, have a point. The listener should be able to 'get' this central 'take away', no matter what twists and turns the lyrics take. You don't necessarily start out clearly knowing the point, sometimes it must be discovered as the song takes shape, but without that center of meaning, songwriting is just an exercise in rhyming lines. By all means, explore creative rabbit trails with your writing, then edit and re-write to the Point. Often, the details of the 'scene' will be different for songwriter and listener. A powerful song can be just vague enough to fit several different exact realities. You will have to take into account the genre of music you want to write to when deciding how vague the details can be... for instance, r&b and country song details tend to be more earthy and specifically detailed than some avaunt-garde alternative and pop songs. And songs written for media can be even more vague. But there still should be some kind of central message or feeling communicated from the totality of the song. The verses, chorus, bridge and embellishment lines all need to relate to that message. This goes for story songs and speeches, too. Just like a movie, an emotionally compelling story song needs a crux point, a turning point, a central reason for being told. Great speeches have a central message as well. It's common today for speeches to be written with three stories or sub-points, but they all somehow connect into an overarching message. 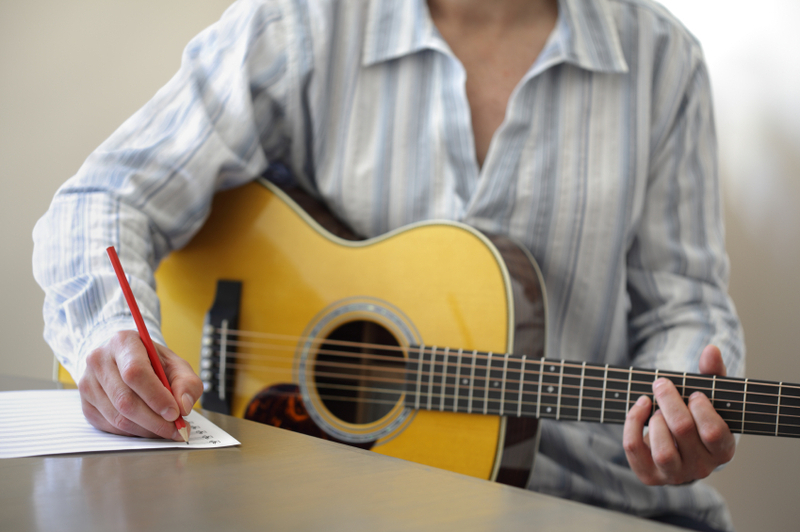 Concise writing uses only words that are absolutely necessary to make the point, and is a hallmark of memorable, legendary songs in all genres. A great exercise in editing and re-writing is to take something you write and cut the number of words in half, without detracting from the message! There's a scene in one of the Indiana Jones movies with Indiana as a young boy coming into his father's study. The son hands his father an essay he has just finished. The elder Jones reads the essay, then hands it back and says something to the effect of 'now half it', much to the chagrin of the boy who wants to go fishing! This scene's central point illustrates the life-long hilariously adversarial yet character-honing relationship between them. If you think the skill of concise writing is out of date based on all the wordy hits in multiple genres of today's marketplace, I would ask you to examine the lyrics of the most successful of these songs. Notice how all the words actually do fit together in an expertly-woven tapestry. Yes, these songs use more words, but make every word count. The earliest I remember seeing this trend begin was in the 'Jagged Little Pill' album by Alanis Morrissette. Of course you tailor your word count to the space you have available... 15 seconds for a jingle, 3.5 minutes for a song, 45 minutes and longer for a speech or presentation. Perhaps to write brilliantly with a larger word count, one could try the opposite experiment: Take an essay, script or lyric and double it without adding useless words, writing all words to the central point! ...is the central point of the message you're trying to deliver? In deciding this, make sure it's a strong message that somehow makes the world a better place for you and for your ideal audience who would love your music. If it's a sad message, it should somehow help make the person let go or feel better. Even a party song can lift the spirits of your listener! You should be able to clearly articulate this central point in one sentence. ...are you talking to? A friend? The composite heart of a group of people (such as a friend group or an audience)? Yourself in the mirror? Keep the lyric focused on this 'who'. ...are you talking to that heart- What do you want them to understand? Think like you're having a conversation. What would their facial and body language look like if you actually got through to them with the central point of your message? ...would the movie scene take place that you're having this conversation? It can help tremendously to imagine being in that scene as you create the arc of your lyric story. There is a secret truth understood by great singers, speakers and actors that can get overlooked in our complicated and competitive marketplace. 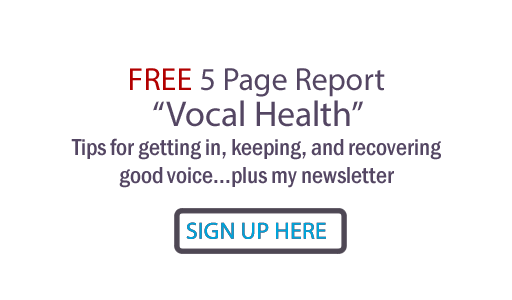 The reason the voice exists is to deliver messages! If you deliver the message well, that is what gives your voice real value. WHAT is the central message you're trying to get across? WHY are you saying this lyric to that heart? What do you want them to understand? WHERE would you be having this conversation? What colors, smells, feels, tastes, sounds do you hear that place you (and anyone listening to you) in the scene? HOW would your voice need to sound to get the right reaction to the point you're trying to make? What about you? I'd love to have your thoughts in the comments!